Custom engraved with the H-D® Bar & Shield Logo and accent flames. This professional quality set combines regulation size, weight, roundness, and perfect balance for consistent and accurate play. 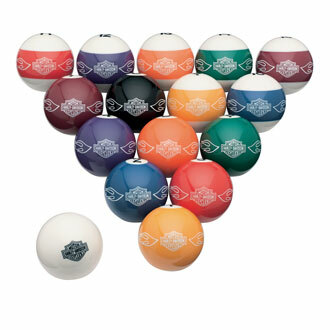 Full set of stripes and solids billiard balls with high-gloss finish. Cue ball Included.